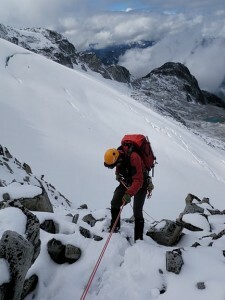 If you are a SAR member in BC and you are feeling a little tired, I can tell you why. I just looked through the EMBC Incident Summaries for the Canada Day long weekend and counted 32 incidents. That makes the three day period from Friday to Monday the busiest July first weekend for ground SAR members in 10 years! Just before the long weekend I had posted to social media a calculation that the July long weekend is one of the busiest weekends of the year for SAR, with an average of 23 incidents on that period over the past 8 years. #SAR groups in #BC respond to an average of 23 incidents this weekend, the busiest SAR weekend of the year. Stay safe and happy #CanadaDay ! I only counted the three days of a long weekend which is the day off and the two weekend days in this calculation. On some years July 1st is on a week day and in those cases the statutory holiday is moved to Friday or Monday. That means that Canada Day long weekend 2013 was the busiest one in the past decade by just over a standard deviation. We can interpret this as a statistically significant deviation from the norm, and noteworthy. 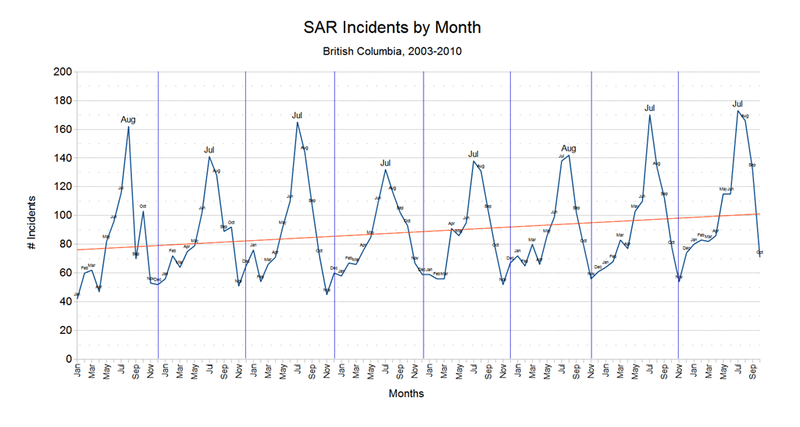 In the past I’ve written how SAR incidents in BC peak usually on the July or August long weekends, and presented charts showing the frequency of SAR incidents by month to back this up. The average number of incidents a month about 80, and the average per week is just over 20. To have 32 in one three day period is exceptional.